There is a 24-hour front desk. We have a restaurant on-site serving delicious food all day. Our staff can arrange local excursions & tours around the island, including dolphin tours, snorkeling, ‘Safari Blue’ day trip, and many more. Car, scooter and bicycle rentals are also available at the hotel. We pride ourselves on running one of Zanzibar’s coolest and comfortable and yet budget-friendly beach resort. 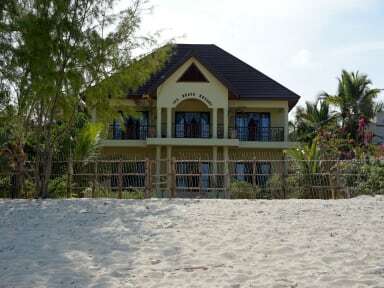 Ifa Beach Resort is located right on Jambiani beach, on the east coast of the island. Step out of your room and onto the beach. The hotel is approximately 1 hour drive from Stone Town & Zanzibar International airport, about 57kms. Kiwengwa in the north is approximately 70kms away. Paje – the party centre of the east coast is a 5 minute drive. And Kizimkazi in the south is about 30kms or 25 minutes driving. Jambiani village is a few minutes walk from the hotel, where you can find local shops & restaurants, and get a view of traditional life in Zanzibar. Our resort consists of 8 comfortable rooms, located on either the ground floor, or 1st floor. 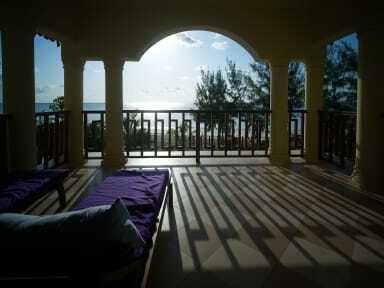 Our 2 & 3 bed room come with a balcony where you can relax and enjoy magnificent views of the beach. Our cosy 1 bed rooms offer garden views. All rooms come with ensuite bathroom with hot water, ceiling fan, air-conditioning, and a refrigerator. Payment upon arrival by cash, credit cards. Surcharge for credit card is 4%.